His research focuses on the historical intersections between philosophy, theology, and imaginative literature, with particular attention to Renaissance literature and the reception of Classical educational traditions. The topics of Donnelly's published work range from St. Augustine and post-modern critical theory to the Renaissance poetry of George Herbert and John Milton. 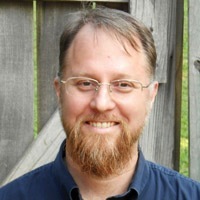 He is a contributor to the new Milton Encyclopedia, edited by Thomas N. Corns (Yale University Press) and to the Oxford Guide to the Historical Reception of Augustine, edited by Karla Pollmann and Willemien Otten (Oxford University Press). "Homer Writes Back: Rhetorical Art and Biblical Epic Justice in Paradise Lost." Edinburgh Companion to the Bible and the Arts. Edited by Stephen Prickett. (Edinburgh, UK: Edinburgh University Press, 2014), 459-76. "Latin Pedagogy and Ethical Ends in the Royal Grammar (1542)." Transformations in Biblical Literary Traditions: Incarnation, Narrative, and Ethics. Edited by D.H. Williams and Phillip J. Donnelly. (Notre Dame, IN: University of Notre Dame Press, 2014), 15-41. "Milton: Paradise Lost." Finding a Common Thread: Reading Great Texts from Homer to O'Connor. )South Bend, IN: St. Augustine's Press,2013), 221-38. "John Colet (1467-1519)." Oxford Guide to the Historical Reception of Augustine. Edited by Karla Pollman and Willemien Otten. (Oxford, UK: Oxford University Press, 2013P), 325-27. "Historical Appearance in Areopagitica. "Milton and Questions of History. Edited by Feisal Mohamed and Mary Nyquist. (Toronto: University of Toronto Press, 2012), 327-354. This volume won the 2012 Irene Samuel Memorial Award, given by the Milton Society of America for a distinguished multi-author collection. "Logic." Milton in Context. Edited by Stephen B. Dobranski. (Cambridge: Cambridge University Press, 2010), 349-360. This volume won the 2010 Irene Samuel Memorial Award, given by the Milton Society of America for a distinguished multiauthor collection. "Poetic Justice: Plato's Republic in Paradise Lost 1667." A Poem Written in Ten Books:Paradise Lost 1667. Edited by Michael Lieb and John Shawcross. (Pittsburgh: Duquesne University Press, 2007), 159-81. "Biblical Convocation in Wendell Berry's Remembering." Christianity and Literature 56.2 (2007): 275-96. "Enthusiastic Poetry and Rationalized Christianity: The Poetic Theory of John Dennis." Christianity and Literature 54.2 (2005): 236-64. This essay won the Lionel Basney Award for the best essay published in Christianity and Literature in 2005. "Paradise Regained as Rule of Charity: Religious Toleration and the End of Typology." Milton Studies 43 (2004): 171-97. "The Triune Heart of The Temple." The George Herbert Journal 23 (2000): 35-54. Republished in Literature and Criticism 1400-1800, Vol. 121, edited by Thomas J. Schoenberg and Lawrence J. Trudeau (Detroit: Thomson Gale, 2006), 71-80. Book-length studies on two major topics: 1) the engagement of Plato's Republic in Milton's Paradise Lost; 2) the theological transformations of the liberal arts of grammar, logic, and rhetoric.